It is spiritual, social and service events for those 18-35 whether you are single, dating, married or divorced; with or with out children...this is for you. 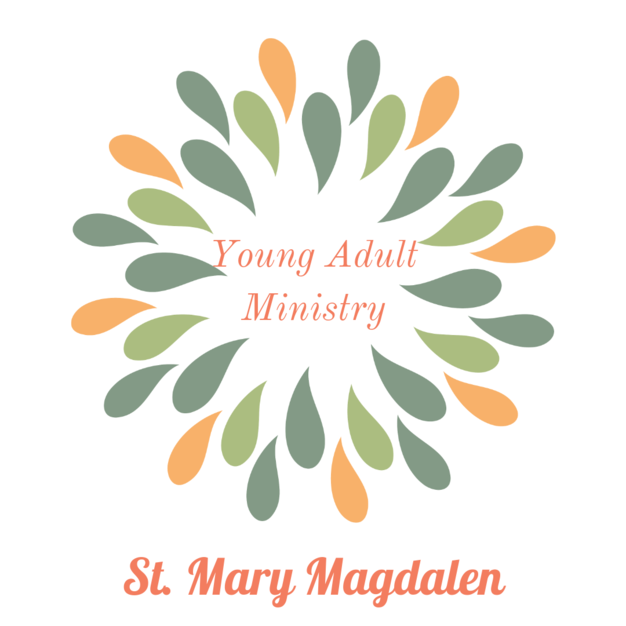 As we are beginning this ministry here at SMM we will start with a few social events to get to know others. You do not have to belong to SMM or be Catholic to attend: all are welcome. Any 18 -35 years old wanting to make friends or explore faith or have fun...this is for you! If you would like to be apart of the planning team, let Kat know. Calling all 18- 35 year old friends: Join us for some drinks (those of age) and time to relax and make friends. If you are under 21, we welcome you to join us for food and friends. We will provide a few appetizers to share otherwise drinks and food are on your own.